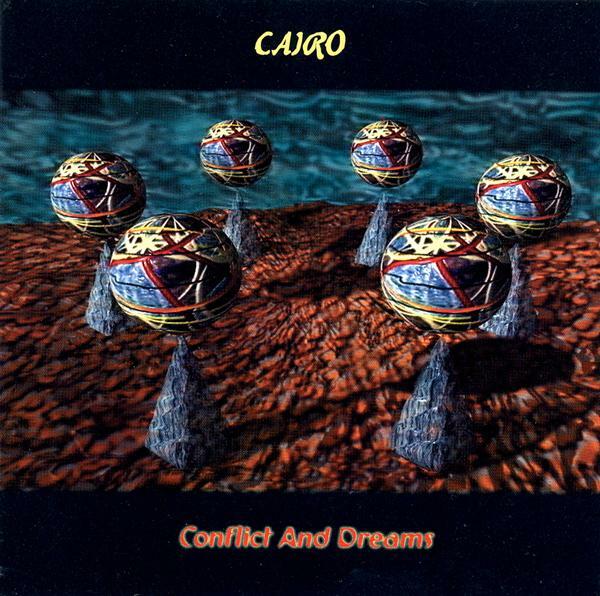 Cairo's sophomore release, Conflict and Dreams, came out four years after their promising debut. The time between albums certainly showed a difference with the band starting to show its own identity, yet retaining the influences that attracted many to their first album. Again, Cairo gives itself much room for instrumental development as the song lengths range from 8 1/2 to 17 minutes (with the exception of a 1 1/2 minute interlude), with four of the six tracks timing in at over 10 minutes. Like on their debut, the instrumentation strongly leans towards Mark Robertson's bombastic keyboard playing. Robertson is clearly a serious study in Keith Emerson's style of playing. This was extremely evident on Cairo's debut, but on Conflict and Dreams, Robertson has eased up and begins to have his own personality shine through the swaths of keyboard soundscapes. The rest of the band seems a little tighter, a lot more original, and a bit more advanced in their instrumental prowess. Yet, the one problem that bothered me with their debut, bothers me on this album too: that of muddy-like production. Again, an album from 1998 should not necessarily sound like it was recorded in 1974, unless that was done by intention. I can't see that this was intended to be like this. It kind of gives Cairo a bit of a garage band essence. Still, I enjoyed the performance and the amazing energy of this band. Some of the songs are longer than they probably should be, but for some reason that doesn't bother me here. And like their debut, lead singer Bret Douglas is an acquired taste. I think his voice suits this band nicely, but many of you are likely to disagree with me and this may present a stumbling block for you. An excellent symphonic prog release with influences from ELP, Yes, Genesis, and perhaps a little Asia. One of the better ones from the 1990s. Four stars. It could have been a masterpiece with better production and recording facilities.